Nearly 85 percent of the transactions in foreign exchange markets involve the dollar. Until the establishment of the Federal Reserve System in 1913, various currencies were issued in the U.S. In the late 18th century and during the American Revolution, the Continental Congress printed its first paper money, known as continentals. But inflation was rapidly increasing and continentals were becoming worthless pretty quickly. The First Bank of the United States established in 1791 was the first attempt to central banking, which was not well-received by a mostly agrarian electorate. When the bank’s 20-year charter expired in 1811, votes in Congress were not enough to renew it. The Second Bank of the United States of 1816 had a similar story. The Free Banking Era (1836–1865) had state-chartered banks and unchartered free banks, issuing their own notes, redeemable in gold or specie. Following the financial panics of the late 19th and early 20th century, the American public was ready for a central bank. In 1913, President Woodrow Wilson signed the Federal Reserve Act into law. 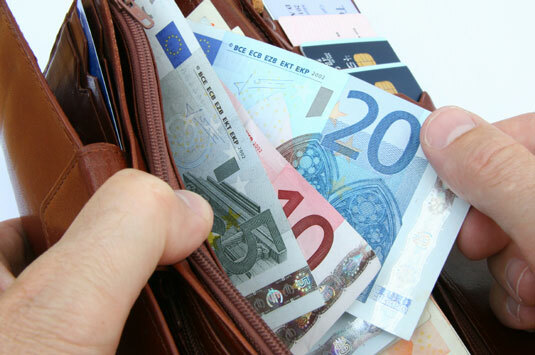 Even though it was introduced in 1999, the euro became the second highest-traded currency in the world with a 39 percent share in daily transactions. Introducing a new common currency and a central bank that oversees this currency was not an easy task. Imagine the German mark, the French franc, the Italian lira, and so on and how much organization would be required to get rid of them and replace them with the euro. Since the early 1960s, the central banks of the European Economic Community (EEC) had been trying to coordinate their monetary policies and promote price stability. The Maastricht Treaty of 1992 put a long-contemplated idea on paper: a common currency. In 1998, the European Central Bank was established. The euro was introduced in 1999. 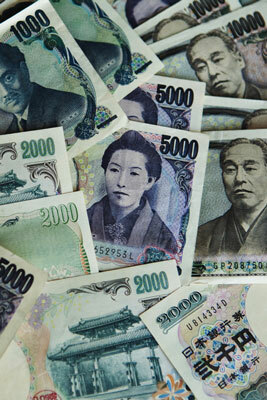 With a share of over 19 percent of the daily currency transactions, the Yen takes the #3 spot. The history of the yen goes back to 1871 when it was adopted officially as the Japanese currency by Japan’s Meiji government. In 1882, the Bank of Japan was established under the Bank of Japan Act as the country’s central bank. The Bank was reorganized in 1942 according to the new Bank of Japan Act. The Act of 1942 states the objectives of the Bank as regulating the currency as well as controlling and facilitating credit and finance to enhance the country’s general economic performance. The Act of 1942 was amended several times after World War II and was completely revised in 1997 to reflect the modern principles of central banking: independence from fiscal authority and transparency. The British pound has a share of almost 13 percent in daily currency trades. 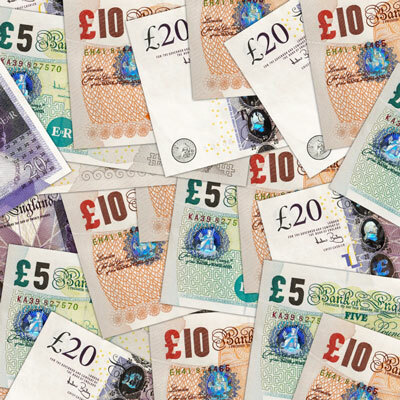 The official name of the currency is pound sterling. As one of the oldest central banks in the world, the Bank of England was founded in 1694 to act as the government’s banker and debt-manager. It began issuing notes the same year, where notes had a few lines of engraved text, promising to pay a specified sum at the Bank’s premises with spaces for a handwritten date, number, signature, and the name of the payee. In 1734, the Bank moved to Threadneedle Street in London and is still located there today. This currency has over 7.6 percent share in daily currency transactions. Prior to 1911, private trading banks were issuing currency in Australia. In 1911, legislation established the Commonwealth Bank of Australia. However, at that time the bank was just like a commercial bank and did not assume the responsibilities of a central bank. Then, the Australian Department of the Treasury was in charge of issuing notes. 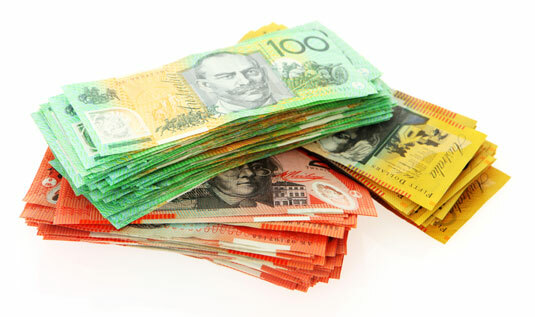 In 1924, the Commonwealth Bank Act was amended and the Bank was given control over the note issue. From this time until 1945, the Bank gradually evolved its central banking activities. In 1959, part of the Commonwealth Bank of Australia was renamed as the Reserve Bank of Australia (RBA) to fulfill the functions of a central bank. The commercial banking functions were kept by the Commonwealth Bank of Australia. 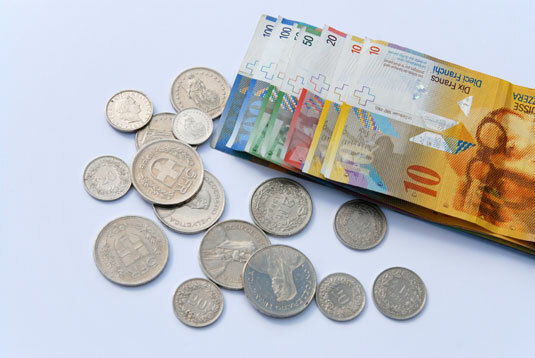 With over 6.4 percent of daily currency transactions, the Swiss franc takes the sixth spot. Until the mid-19th century, cantons (states or provinces) and other entities were producing their own currency. After the first Federal Constitution went into effect in 1848, the Federal Coinage Act was passed in 1850. Between 1876 and 1901, three agreements were passed to ensure and facilitate the reciprocal conversion of banknotes without any charges. While several attempts were made to establish a central bank, either the motion didn’t pass in the parliament or, if it did, it was rejected by voters. Finally, the Swiss National Bank was established after the introduction of the Federal Act on the Swiss National Bank in 1905. In 1910, the Swiss National Bank received its monopoly position in issuing money. 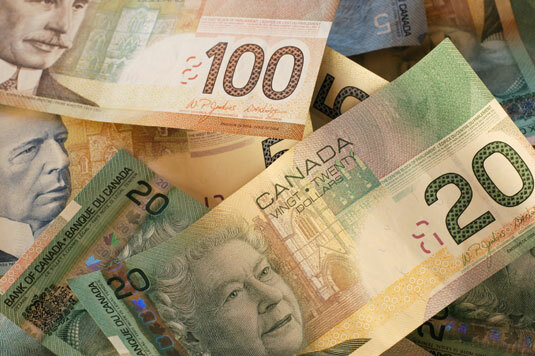 As the #7 currency in the world, the Canadian dollar has 5.3 percent share in daily currency transactions in the world. Until the early 19th century, a number of different currencies, British, French, and local currencies, were used in the Canadian provinces. In the years leading up to the Confederation, most of the country was organized as small rural settlements spread over a large area, which made branch banking a practical approach. During the 18th and early 19th century, the branch banking worked well. Then, bank runs reduced confidence in the system, and the idea that government should issue currency started gaining support. In 1871, the Dominion government passed the Uniform Currency Act. The establishment of a central bank took a little more. The Great Depression of the early 1930s convinced policy makers to establish a central bank. In March 1935, the Bank of Canada opened its doors as a privately owned institution. 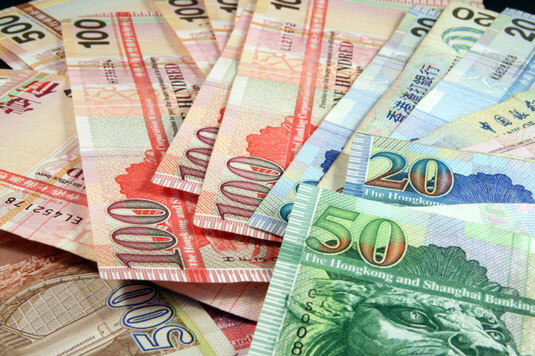 The Hong Kong dollar’s share in daily transactions is about 2.4 percent. When the British occupied Hong Kong and established a free trading port in 1841, there was no local currency in circulation. Various foreign currencies, including Spanish, Mexican, and other silver dollars; the Indian rupee; and Chinese currencies were used as a medium of exchange. During the early years of the colony, the Hong Kong government also tried to promote the use of pound sterling. Between 1845 and 1859, three note-issuing banks were introduced. Finally, in 1863 the Hong Kong government declared silver (Hong Kong) dollars to be the legal tender. In 1898, China leased Hong Kong to Britain for 99 years. In 1997, Hong Kong became a Special Administrative Region of the People’s Republic of China. 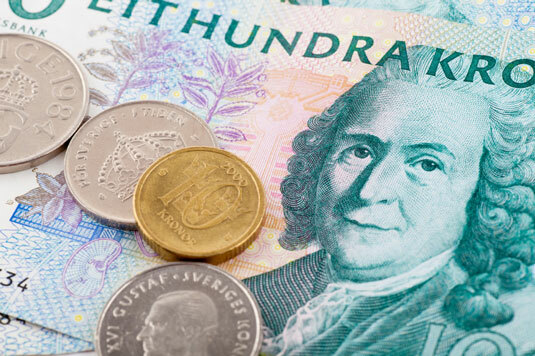 The Swedish Krona has a 2.2 percent share in daily foreign exchange transactions and has been the currency of Sweden since 1873. But minting of the first Swedish coins goes back to the 10th century. In the mid-17th century, Stockholms Banco became Sweden’s first bank. While the bank issued notes, it was a private bank under strong state regulation. Even though the bank was closed due to the general public’s loss of confidence at one point, in 1668 it was reestablished by the Swedish parliament as the Bank of the Estates of the Realm. Even though inflation was increasing during the 18th century and promoting price stability became important, it took some time to establish the central bank. In 1867, the Bank of the Estates of the Realm changed its name to Sveriges Riksbank and became Sweden’s central bank. Later in 1897, Sveriges Riksbank was granted a monopoly on issuing banknotes. With 1.6 percent share in daily currency transactions, the New Zealand dollar takes the #10 spot in the countdown. Even though Europeans became aware of the islands known today as New Zealand back in 17th century, New Zealand didn’t become a British colony until the mid-19th century. And, with the Europeans, arrived paper money. During the 1800s, the gold, silver, and bronze British coins were circulating in New Zealand alongside the existing foreign coins (for example, Australian). 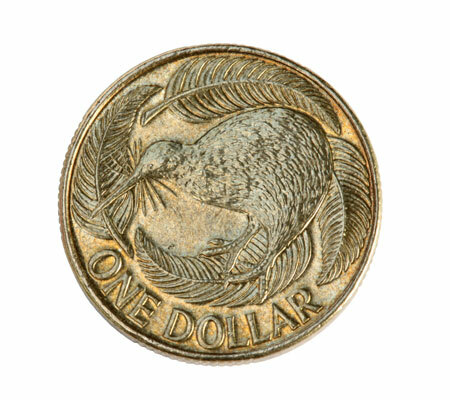 The national currency was introduced in 1934 and, shortly after, the Reserve Bank of New Zealand (the country’s central bank) was created. As of 1935, New Zealand became the last of the self-governing dominions of the British Commonwealth to introduce its own coinage.